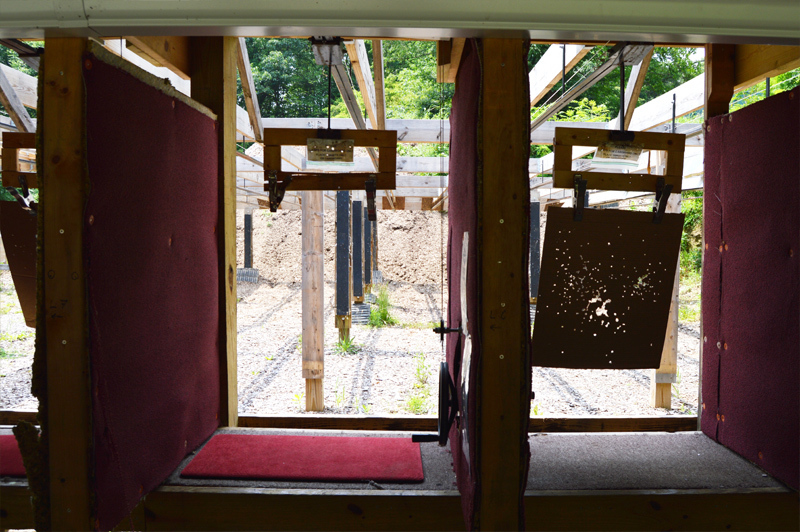 MSCI’s outdoor Pistol Range is newly renovated, now featuring an enclosure to allow shooting in most weather conditions. The outdoor Pistol range has backstops of 7-15-25 and 50 yards and can also be used for sighting in Slug Guns, Muzzle Loaders and 22. Cal Rifles. Shooters MUST wear Eye and Ear Protection at all times. Paper Targets only, placed between the wooden up rights. Everyone must sign in and pay fees before going to the ranges. Members have preference over guests when Range is Crowded. No shooting before 9:00 A.M. No uncontrolled firing. No cross firing. Please place used brass in the buckets provided and sweep up before you leave the Ranges. All guests must be accompanied by a member and Jr. members must be accompanied by a parent or other responsible adult. Fees: $2.00 for members, $4.00 for guests. From April 1 to September 30 pistol range evening shooting hours will be extended to 10:00 P.M., under the lights on Tuesday and Wednesday evenings. All shooting must stop at 10:00 P.M. sharp as a courtesy to our neighbors. It is absolutely imperative that you are aware of your surroundings, keep track of all shooters at all times. Never go behind the backstops or further down range than the 25 yard backstop. Always practice Safe Range Procedures. If you chose to have a drink after shooting, the bar will be open till 11:00 P.M.